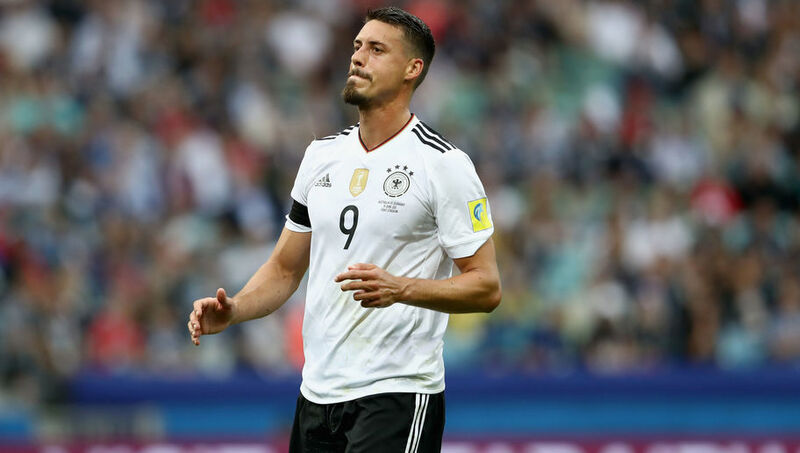 German target man Sandro Wagner turned down the chance to move to the Premier League in a £14.5m move to Southampton by signing a contract extension with TSG Hoffenheim. Bayern Munich were also interested in signing the 29-year-old striker, however, Wagner has repaid the club’s faith in him by signing a new deal that will keep him at the club until 2020, according to Bild. Wagner spent 13 years as part of the Bayern Munich academy before eventually leaving the club in 2008, joining MSV Duisburg on a free transfer. After spells with Werder Bremen, FC Kaiserslautern and Hertha BSC, Sandro’s big breakthrough came with Bundesliga minnows Darmstadt, scoring 14 top flight goals during his maiden campaign. Wagner pointed towards his ambitions to play in the Champions League with Hoffenheim, a milestone that they reached this season after an incredible year under 29-year-old manager Julian Nagelmann. Saints boss Mauricio Pellegrino had identified Wagner as an attacking reinforcement following the sale of Jay Rodriguez to West Brom, however, 21-year-old Polish defender Jan Bednarek remains the only new face at St Mary’s Stadium as clubs head off for their pre-season preparations. Long-term Liverpool target Virgil van Dijk has joined up with Southampton in their pre-season preparations, ready to face Brentford on July 22. The Dutch defender has reportedly asked to be allowed to join Liverpool again after a deal fell through earlier in the transfer window following allegations that the Reds were tapping up the defender.